President Trump sounded the alarm about South Asian Islamism in an August 22 speech, but the problem is worse – and much closer to home – than he realizes. 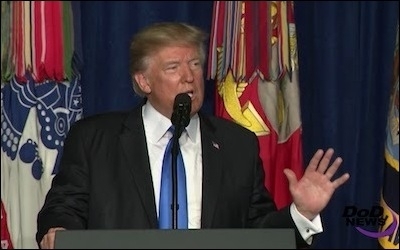 In Tuesday's speech, President Trump denounced the flow of U.S. money to Pakistan while that nation harbors terrorists. South Asian Islamism is an enormous problem, and yet a great deal of the discussion in America surrounding Islamism focuses on the Egyptian-founded Muslim Brotherhood. But the Muslim Brotherhood is far from the only Islamist network in the United States; it is simply the best known. Other Islamist movements also benefit from government ignorance about the diversity of Islam and Islamism across the globe. The South Asian Islamist movement Jamaat-e-Islami (JI), for instance, has received millions from the U.S. taxpayer for its powerful network of charities and welfare services, which are designed to obtain external funding as well as legitimize JI as a representative voice of Muslims, in both America and South Asia. Although JI has its own ideologues, literature, and infrastructure, it is often described as the South Asian "cousin" of the Muslim Brotherhood. Qazi Ahmad Hussain, head of JI in Pakistan, has declared: "We consider ourselves as an integral part of the Brotherhood and the Islamic movement in Egypt....Our nation is one." South Asian Islamists have received millions of U.S. taxpayer dollars. JI's history is bloody. During the 1971 Liberation War in Bangladesh, JI fighters helped Pakistani forces massacre hundreds of thousands of Bangladeshis seeking independence from Pakistan. Several JI leaders guilty of these war crimes fled to the West, where they helped establish JI organizations that operated as community leadership groups. Two western JI leaders have since been sentenced to death in absentia for these killings by a war-crimes tribunal. 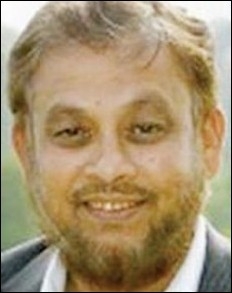 One of those convicted, Ashrafuzzaman Khan, served as a leading official of the Islamic Circle of North America (ICNA), a prominent American Muslim organization. Twice a year, ICNA jointly hosts a conference with the Muslim American Society (MAS), a leading Muslim Brotherhood institution. Unsurprisingly, these conferences are filled with extremist preachers. Ahmed Taha, an ICNA-MAS official who organized their conference in December, has republished posts on social media stating: "O Muslim, O servant of God. There is a Jew behind me, come kill him." Despite its long history of extremism, in 2016 ICNA received $1.3 million of taxpayers' money as part of a grant awarded by the Department of Homeland Security. READ manages 374 schools in Azad Jammu and Kashmir, the Pakistani-controlled area of the Kashmir region, as well as in nearby Pakistani rural areas. These schools teach over 100,000 students. Although based in Pakistan, READ has offices in the United Kingdom and a network of representatives in the United States. ICNA and other U.S.-based JI groups describe READ as their "partner." READ's own JI links are clear: board member Mohammad Ayub also appears to serve as a leader of the JI branch in Azad Jammu and Kashmir. As Canadian journalist Sonya Fatah notes, READ is part of a "complex web of organizations" run by JI. These welfare and social-services agencies serve both to "gain converts in poor rural communities" and to "win votes." READ's slickly produced promotional materials are belied by its extremist links. Within this web, READ's "sister organizations" include the Al Khidmat Foundation and the Ghazali Education Trust, two other Pakistani charities focused on schools and education, which openly identify as JI institutions and also enjoy close partnerships with ICNA. In 2006, JI's own website announced that Al Khidmat had given 6 million rupees ($100,000) to Hamas for their "just Jihad." Officials from both the Al Khidmat Foundation and the Ghazali Education Trust work closely with Syed Salahuddin, the leader of Hizbul Mujahideen, JI's paramilitary wing. Both Salahuddin and Hizbul Mujahideen have recently been designated as terrorists by the U.S. government. If JI's involvement with acts of genocide, its funding of Hamas, and its continued terrorist links are not enough to suggest these grants were a bad idea, there is also the question of what READ schools are actually teaching their students, subsidized by the American taxpayer. A READ Facebook post praising Islamist murderer Mumtaz Qadri. There is no information publicly available about the textbooks or curricula used in these schools. We do not know what students are taught, and when we asked the State Department, they failed to respond. 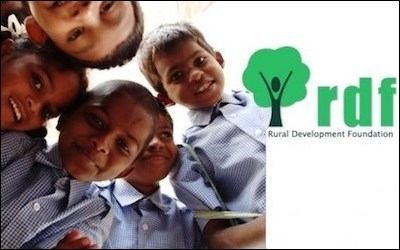 But a glance at the social-media pages operated by READ schools is not promising. Posts include a homage to Mumtaz Qadri, an Islamic extremist who, in 2011, murdered Punjab governor Salman Taseer in retribution for Taseer's public support for a Pakistani Christian woman convicted of blasphemy. 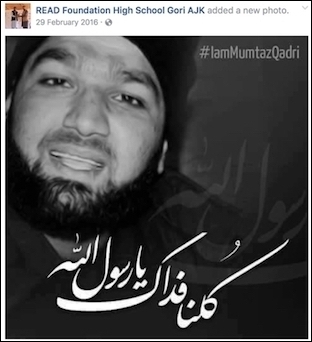 The READ Facebook post features a portrait of Mumtaz Qadri with a caption that states: "We are all in your debt, O messenger of Allah." Other social-media postings include text denouncing the "American Secular Terrorists#...#dirty people" who "destroyed Iraq and killed 150,000 Iraqis" on the "instructions of Iran." A number of READ schools have also published photos from school ceremonies in which young children wearing military uniforms and holding guns act out battles -- reminiscent of similar events in the Gaza Strip under Hamas. The U.S. government is not READ's only publicly listed partner. It enjoys support from a number of Western governments, including grants of over $360,000 in 2012 and 2013 from the British government. Other named READ partners include the terrorism-linked International Islamic Charitable Organization in Kuwait, the Wahhabi-run World Association of Muslim Youth, and the Qatar Charitable Society, all of which have funded Hamas and other terrorist groups. In the West, READ does not bother to distance itself from hard-line clerics. Speakers at READ events have included Uthman Lateef, an overtly anti-Semitic preacher who has expressed support for convicted terrorists, and Sulaiman Gani, a prominent supporter of convicted al-Qaeda operative Aafia Siddiqui. In April 2017, the British government's regulator of charities investigated the READ Foundation after the Times reported it had hosted an event with Yasir Qadhi, an American Salafi preacher who has declared that the punishment for homosexuality is death. Millions of dollars of American taxpayers' money have been given to Jamaat-e-Islami organizations. These funds serve to bolster JI's influence and power in South Asia, to the detriment of moderate Muslims in the region, and legitimize the claims of JI's organizations in America to represent ordinary Muslims.